EnergySolutions Arena, home of the Utah Jazz and formerly known as the Delta Center, opened back in 1991 and has been the site for numerous entertainment and sporting events such as events during the 2002 Winter Olympics, numerous concerts and other live entertainment. In the two decade plus existence of the arena, concerts that have come to the Salt Lake City area and have been staged at EnergySolutions Arena include the following: Josh Groban, Billy Joel, Keith Urban, Coldplay, Neil Diamond, Green Day, Britney Spears, Lady Gaga, Taylor Swift and George Strait. This spring and summer, the following bands and artists will be coming to Salt Lake City and will play EnergySolutions Arena: Bon Jovi on April 17; Taylor Swift with support from Ed Sheeran on June 1 and Muse on September 19. Tickets for all concerts as well as all other events at EnergySolutions Arena this spring and summer can be found right here at SeatGeek. 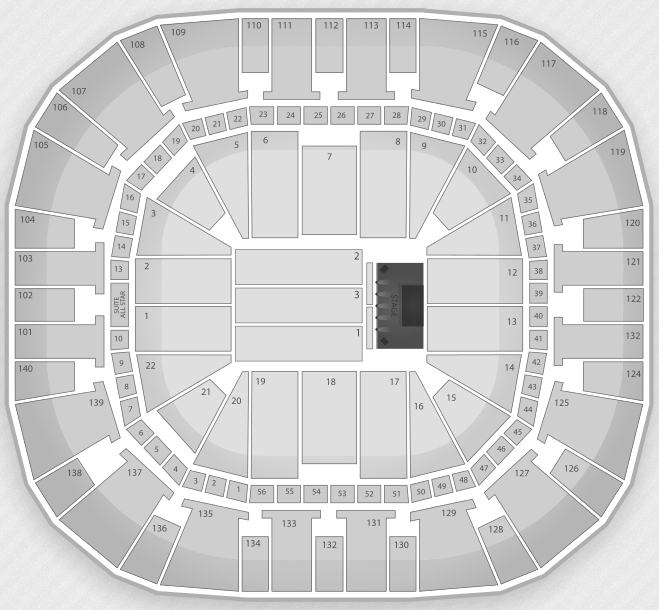 For a look at the seating chart for concerts at EnergySolutions Arena, check out the image below. The venue seats 20,000 patrons for concerts.